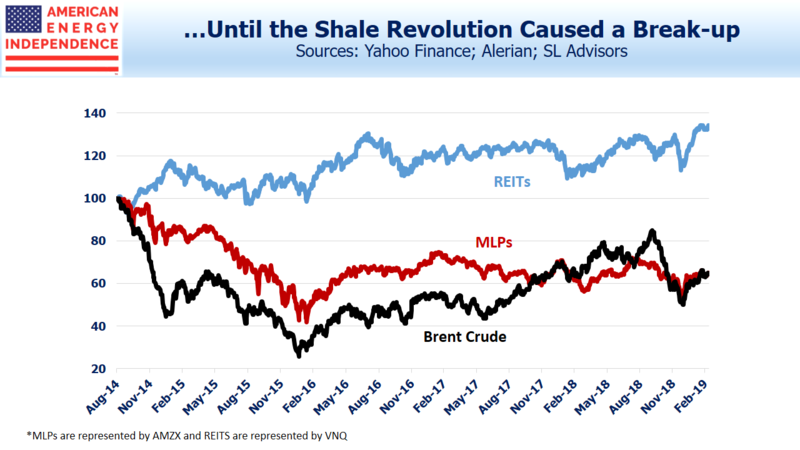 Years ago, before the Shale Revolution became the phenomenon it is, comparisons were often made between MLPs and REITs. Both offered attractive yields from real assets, and income-seeking investors were drawn to them. As a result, their performance tracked each other pretty closely. Investors focused on the relative value of one versus another generally kept them in line. This was the period when pipelines earned their reputation as “toll-models”, driven by volumes with little relationship to crude oil. Long-time investors in energy infrastructure fondly remember those days and many retain mixed feelings about America’s resurgence in oil and gas production. MLPs embraced growth projects, and payouts to investors soon suffered. It’s worth recalling the pre-2014 era, because pipeline stocks are resuming dividend growth once again. The growing realization has already led to a strong start to 2019, with the sector up almost 20%. Comparisons with REITs or utilities made little sense for investors seeking income when MLP income was uncertain. The 36% drop in payouts from the Alerian MLP ETF (AMLP) reflects a big betrayal, but not a collapse in the business. Nonetheless, as we’ve often found when talking to investors, distribution cuts for any reason tend to drive them away. 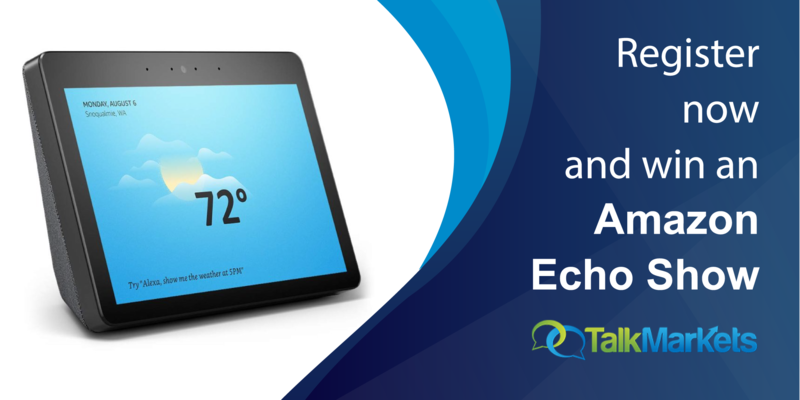 Enterprise Products (EPD) CEO Jim Teague reflected the mood when he recently said, “So many of these guys cut their distributions. I wouldn’t buy their stock either.” Reliable payouts matter. 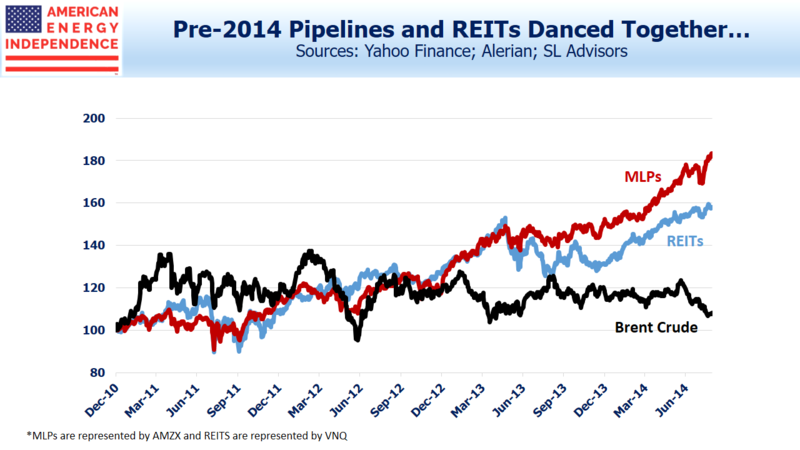 Since 2014 MLPs and REITs have maintained a loose relationship, and although the economic link between crude oil and pipeline company profits is generally weak, at times they have been manacled together. Some investors will ruefully add that the link is strongest when crude oil is falling. Rising pipeline distributions reflect an acknowledgment of investors’ requirement for greater capital discipline with predictable payouts. Growth capex for the industry was $55 billion last year and looks likely to be lower this year, freeing up cash. Several big projects are nearing completion, which will further support cashflows. Disclosure: We are invested in EPD and short AMLP. We are invested in EPD and short AMLP. SL Advisors is the sub-advisor to the Catalyst MLP & Infrastructure Fund.To learn more about the Fund, please click here.